Details on the anticipated releases of Apple's two iOS 8 updates were revealed on Friday by BGR, which said iOS 8.2 could become available as soon as Monday. However, the report did qualify that "last minute problems" could delay the release until the following week. A total of five betas of iOS 8.2 have been provided to developers, though the most recent one was a month ago. Unsurprisingly, not far behind iOS 8.2 will be iOS 8.3, as Apple has already provided developers with two betas of that release even before 8.2 becomes public. Sources reportedly said that Apple plans to have "as many as four" beta versions of iOS 8.3 before it is released to the masses. Betas of iOS 8.2 supplied to developers gave them the first opportunity to toy with the WatchKit tools intended for the forthcoming Apple Watch. Presumably iPhone users will need to have iOS 8.2, or perhaps iOS 8.3, installed on their handset in order to connect to the Apple Watch once it is released. As for Apple's March 9 event, the company is expected to give final details on the Apple Watch before it goes on sale in April. 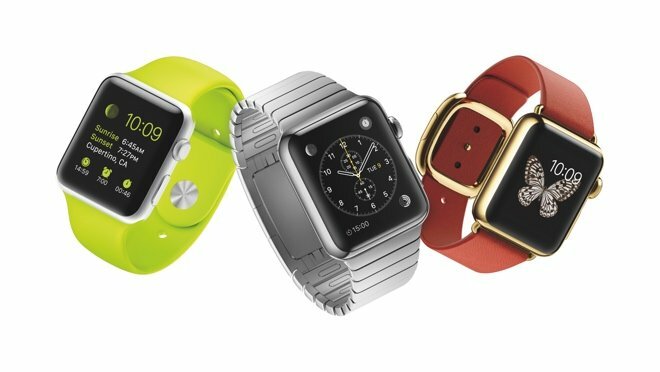 The highly anticipated wrist-worn device will carry a starting price of $349. Apple is expected to open up iOS betas for public testing in mid-March, potentially starting with iOS 8.3. That would mark the first time Apple has made advance versions of iOS available to non-developers.